Dream Pod 9: Thank You All! Thank you everyone for making our first Kickstarter an amazing success. We raised over $150,000 CAD in Pledges from over 1000 Backers to get molds made for new plastic miniatures. 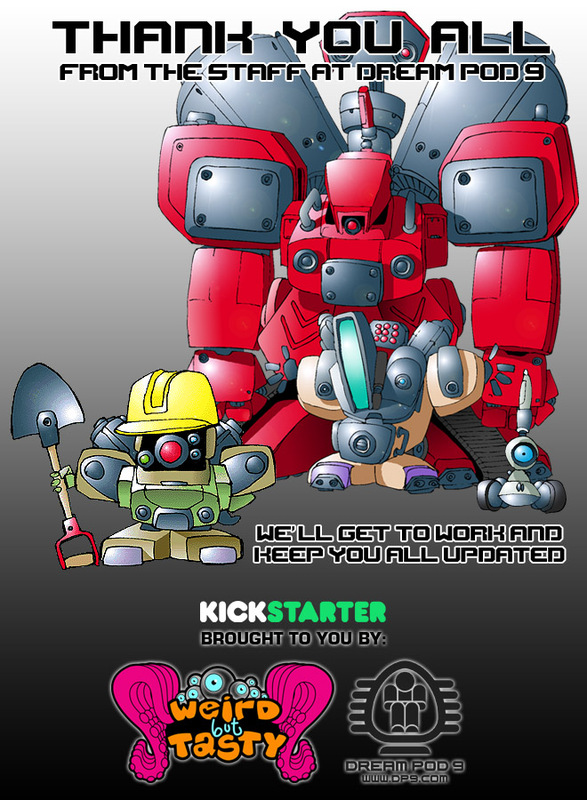 We will be doing an update on the Kickstarter page at least once a week for our Backers, from now on. Early next week we'll make the Pledge Manager active and import the Backer information supplied by Kickstarter. Once that's done we'll send out a few test invites to make sure everything works right and then you will get an email invite to setup your account. The Pledge Manager is where you will decide on the composition of your rewards and pledge for additional add-ons. We will announce plans for the still locked Kickstarter models in a future update. Home › Blogs › Robert Dubois's blog › Thank You All!